Opening on a stunning electronica vibe, the pop-infused song is instantly driven by a pulsating blend of mid-range metallic synths, whose rhythm rival the signature sounds of such hip-hop and rap musicians as Post Malone, Kendrick Lamar and 21 Pilots. Continued to be driven by a textured, powerful and infectious beat, Dr. BENTZ emotionally shares his determined attempts to find, and maintain, success as a musician. He declares that no one’s going to hold him down as he conquers success from coast-to-coast in both America and Canada. While he earnestly admits that he has wanted to move on from his dreams at times, as he has contended with the question of whether he can succeed, he eventually found the strength to achieve his goals by praying for the motivation to continue. ‘Risin’ Up’ isn’t the typical hip-hop-infused EDM-electronica tune that’s often played on the radio or in clubs; it instead embodies a surging harmonic energy and powerful intensity about the importance of people remaining true to themselves and their genuine passion. 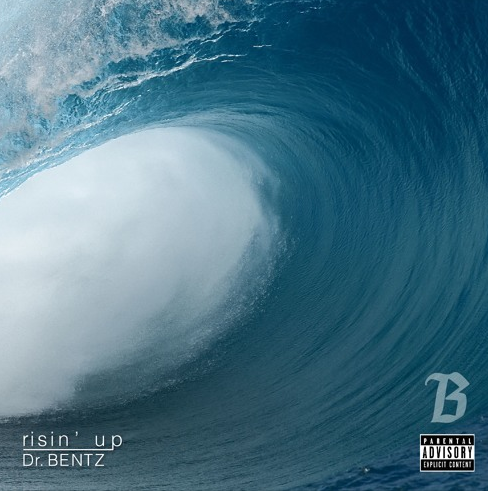 Dr. BENTZ is one such person who’s so driven by his love for music, entertaining and hip-hop culture that he’ll do whatever it takes to break through into the industry, and represent his true vision. His determination and struggle of rising to the challenge to live out his dreams amidst the obstacles presented to him in life is powerfully presented in ‘Risin’ Up,’ a track which will surely garner him attention in both the EDM and rap worlds. For more information on Dr. BENTZ, visit his official website, as well as his Facebook, Twitter Instagram, SoundCloud, Spotify and YouTube pages.